At last Spring has arrived and after months of putting off adventures because of the rain and the cold, the bright blue skies and warm sun made today a good day to go adventuring again. 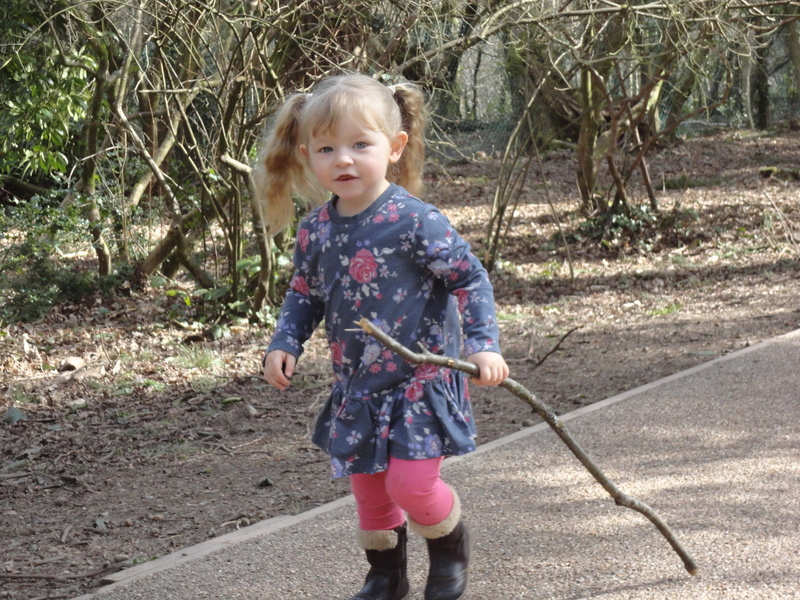 Alfie did not stay over last night and arrived just before eight followed by Millie just after nine, after the Princess Mia had been dropped off at school. 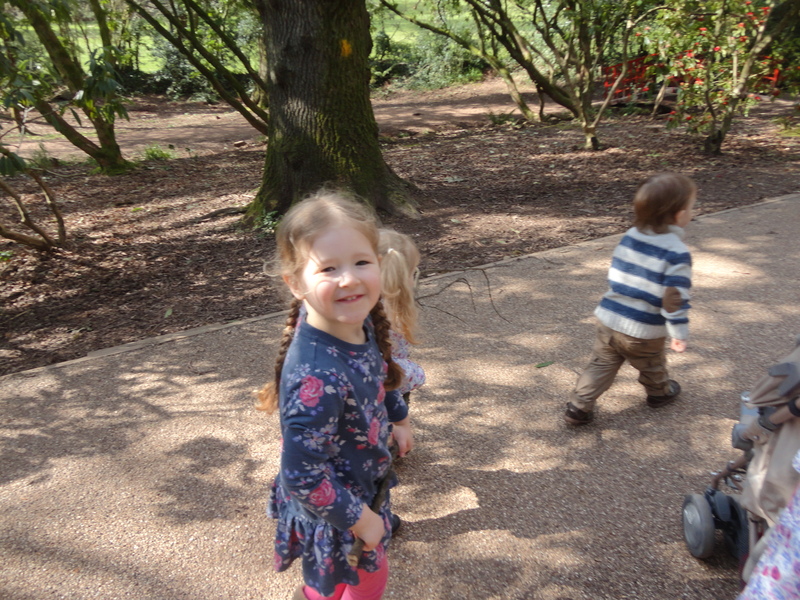 We had to wait until Mia’s lessons were over before we could go, so Millie and Alfie spent a leisurely morning playing in the little piece of paradise their Nan had created for them. The grown ups – Millie’s mum, the lady of the house and my good self enjoyed breakfast together and chatted through many things, putting the world to right. Just after ten we were joined by Belle’s aunt, who had brought some left over chicken and a little love note. Belle had soon devoured the chicken and Belle’s aunt had joined us for breakfast, which meandered into coffee time, as relaxed mornings do. Before long it was time to pick up the Princess Mia from school and I was duly dispatched leaving the ‘girls ‘ to carry on nattering. The Princess was glad to see me but it soon became obvious that she had a ‘tights’ problem. Every five yards of walking saw her tights drop down to her knees and after pulling them up many times, we decided the best solution was a ‘piggy back’. This worked fine and we soon arrived home and the problem with the underwear was duly reported to mum, who rolled her eyes and blamed the incorrect sizing! After a hasty lunch we soon found ourselves heading for the station and the first real adventure of 2014. 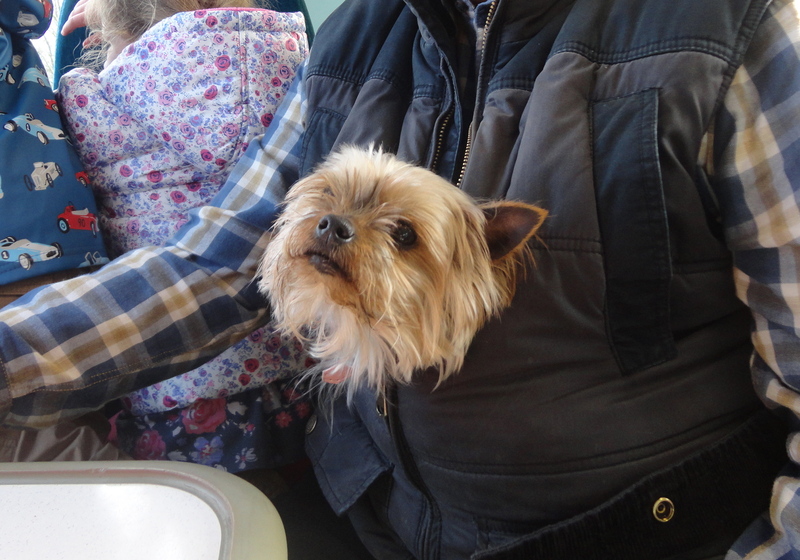 After battling with the machine at the station, the tickets were carefully placed in an accessible pocket, the dog in another pocket and we awaited the arrival of the train. 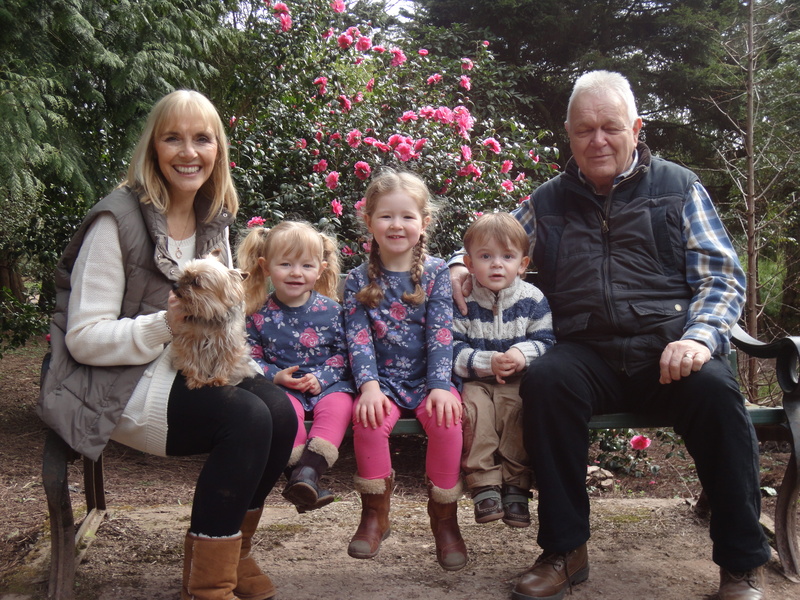 We were quite a crowd with three little kids, one glamorous gran, a little fat OAP and a scatty nervous little Yorkshire Terrier. We looked quite a sight on the platform. 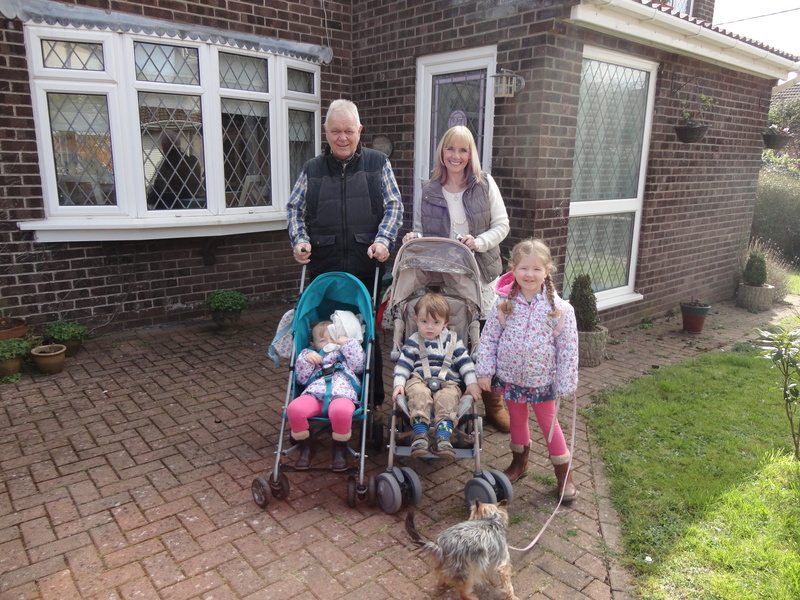 Getting on and off the train need some technical manoeuvrings, but the lady of the house was magnificent at lifting the pushchairs, the kids and the little fat OAP onto the train in Eastbrook, off and on another train at Cardiff Queen Street and eventually off at Lisvane and Thornhill. While I was being helped on the train in Cardiff I noticed work on the new platform had only progressed slowly since we last adventured this way. I wondered what had caused the delay. I gazed down at my dad and mums old house as we passed Llanishen and thought about my childhood growing up on that council estate in North Cardiff. 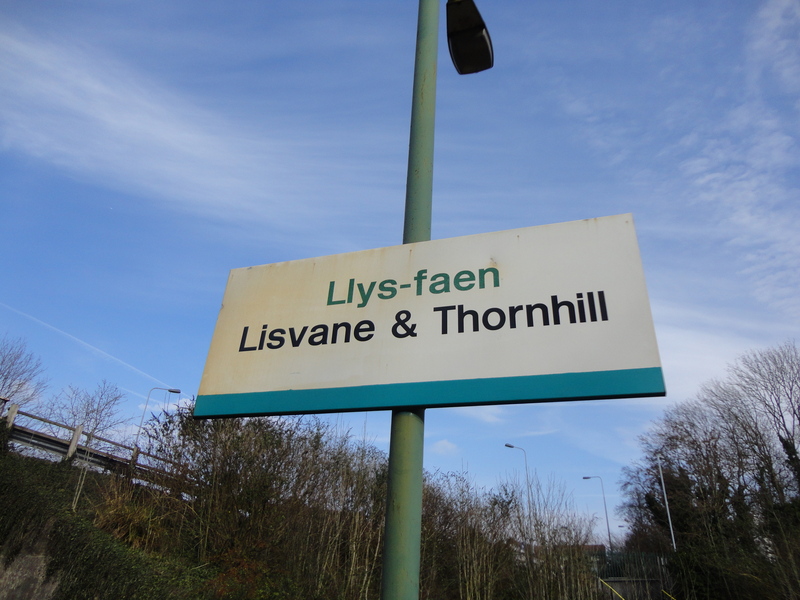 When we stopped at Llanishen Station my mind went back to the days when the stationmaster tended the station garden and old steam trains came and took us to Barry and Lavernock. The walk from Lisvane Station to Cefn Onn Park was a short one. 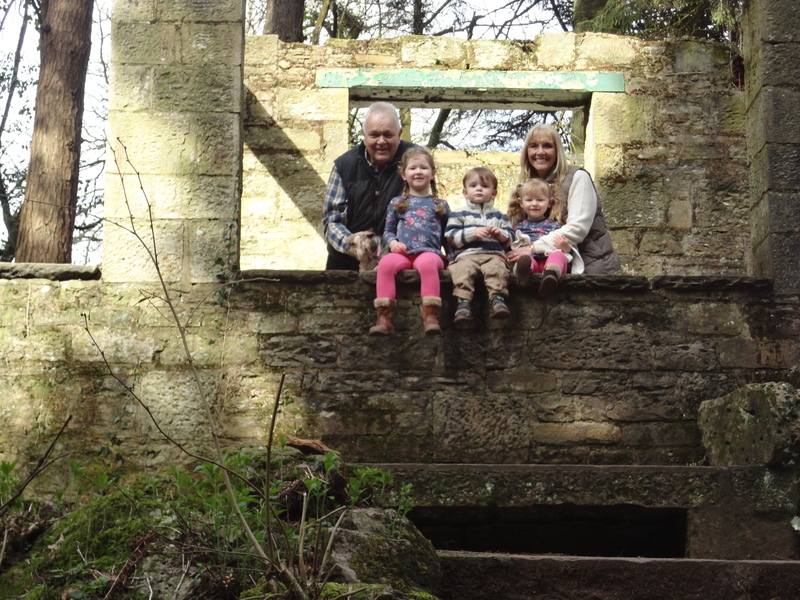 I longed for the days of the old Cefn Onn Station, which took you to the heart of the park. 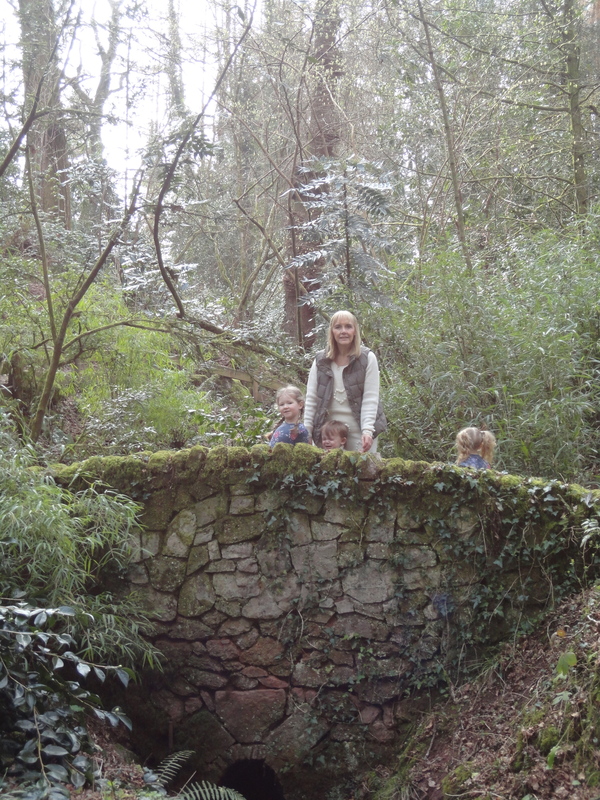 Parc Cefn Onn, originally named “Parc Cefn On”, in Lisvane, north of Cardiff, is a country park created in the valley of the Nant Fawr stream, which eventually runs into Roath Park. 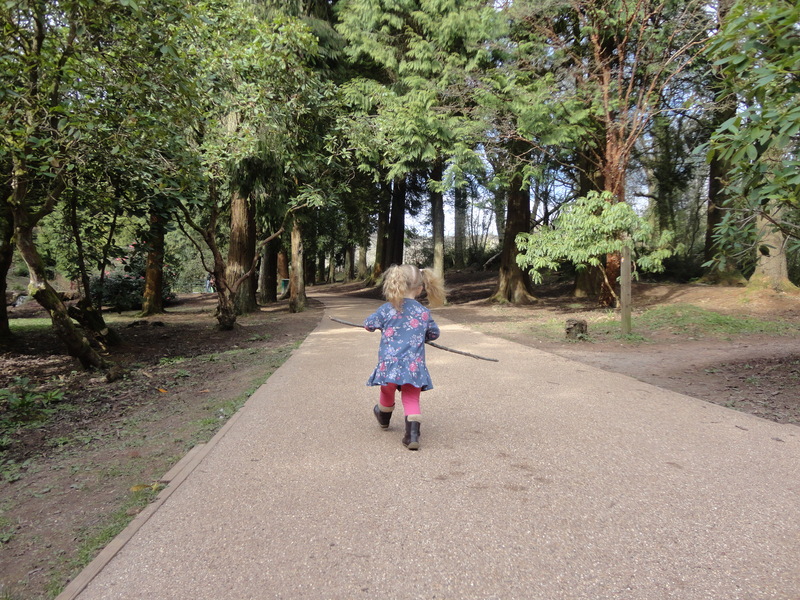 There are no early postcards of Parc Cefn Onn, because it originated in private ownership and was not open to the public until acquired by the Council in 1944, well past the peak of postcard production. 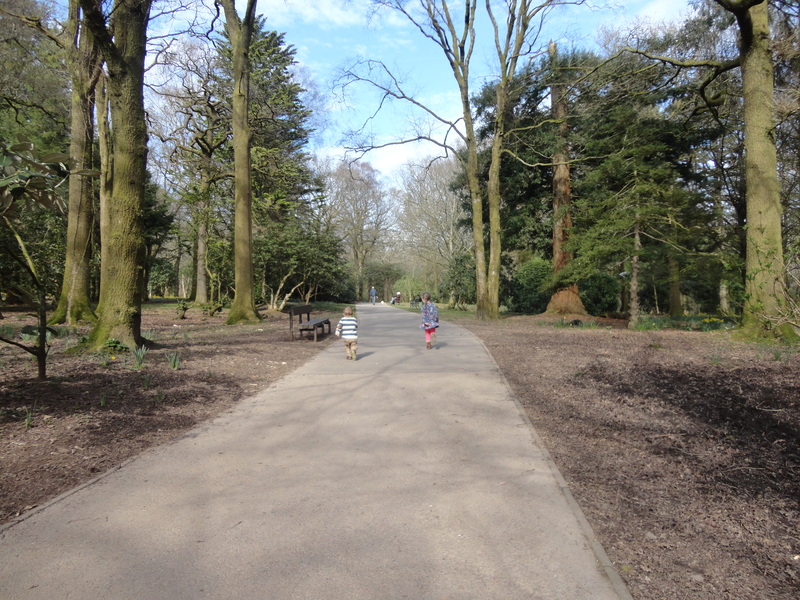 Beginning in 1911 the park was laid out by Ernest Prosser, General Manager of the Taff Vale, Cardiff, and Rhymney Railway Companies, whose intention was to create a woodland estate and house on the land then known as The Dingle. In the park he built a summerhouse where his son could convalesce from tuberculosis. Prosser abandoned his plans to build a house at The Dingle when his son died in 1922, but he continued to maintain the grounds until his own death in 1933. The estate was then inherited by a nephew who sold it to the Cardiff Council in 1944 for £7,500, after Prosser’s gardener, Tommy Jenkins, alerted members of the Council to the opportunity. The purchase was formally agreed on 21st August 1944 and the name Parc Cefn On was adopted the following month.In 1951 repairs to the thatched roof of the summer house cost £25-10-0. 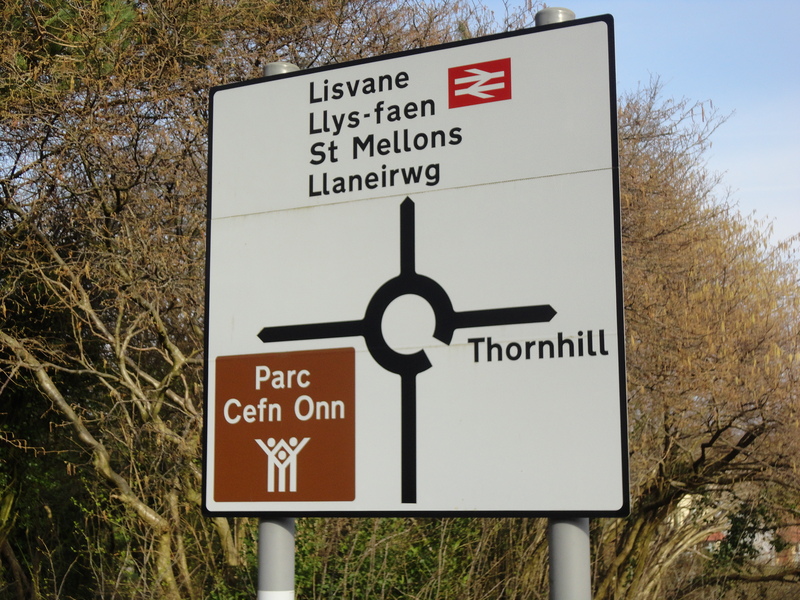 The park quickly became popular with visitors, such that more frequent bus and train services were introduced and Cefn Onn Halt was opened by the Great Western Railway. 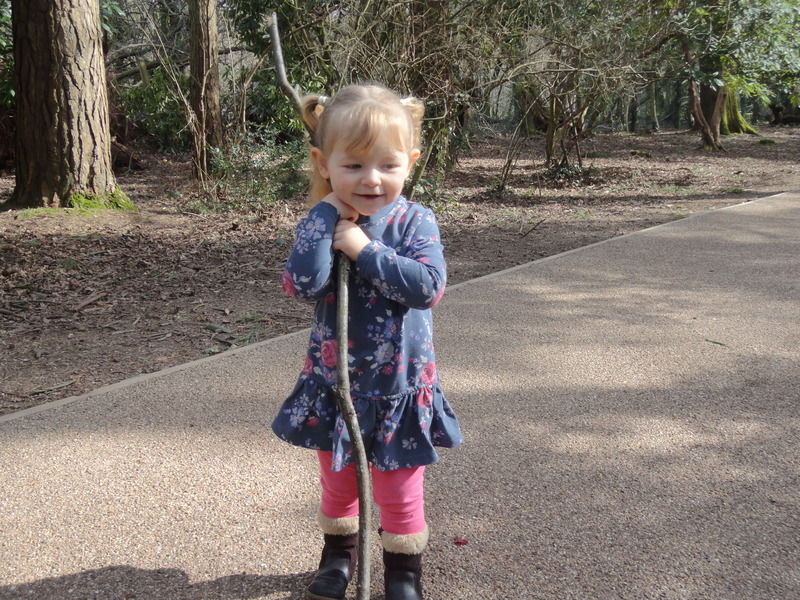 The Council continued to develop the park into a site of national horticultural importance, attracting many visitors especially in the rhododendron season. 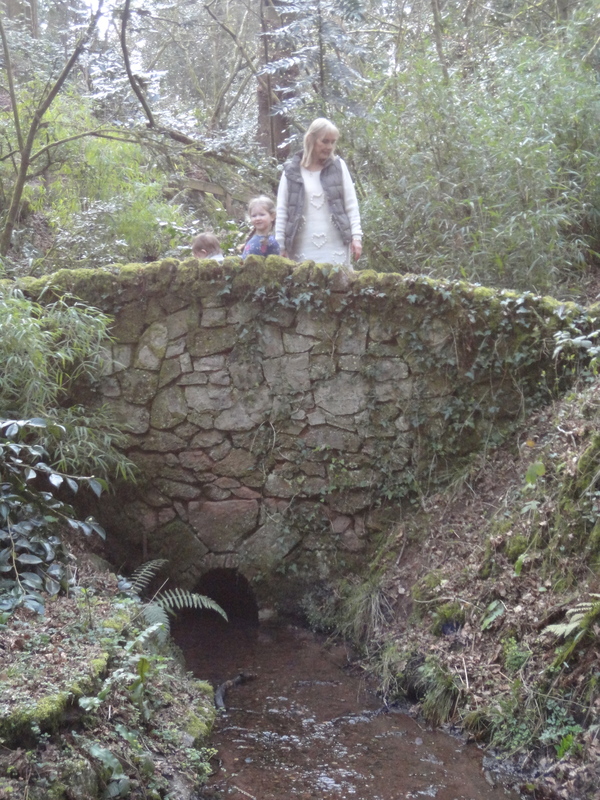 The present day Parc Cefn Onn contains some rare and important native and exotic trees, while the streams, ponds, woodlands and other planting provide varied habitats for wildlife. 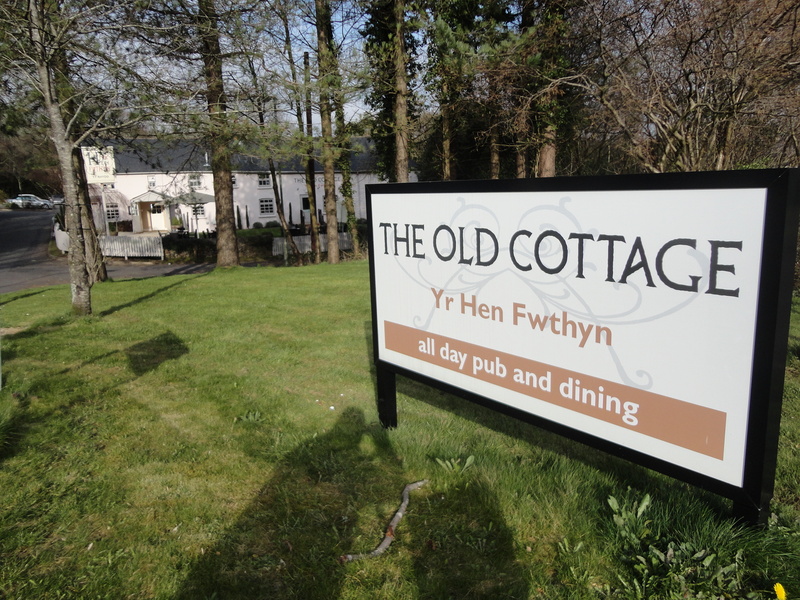 THE name Cefn Onn means ‘ridge of ash trees’. There is an extensive network of streams and ponds throughout the woods. The biggest pond is artificial and created by damming the stream. 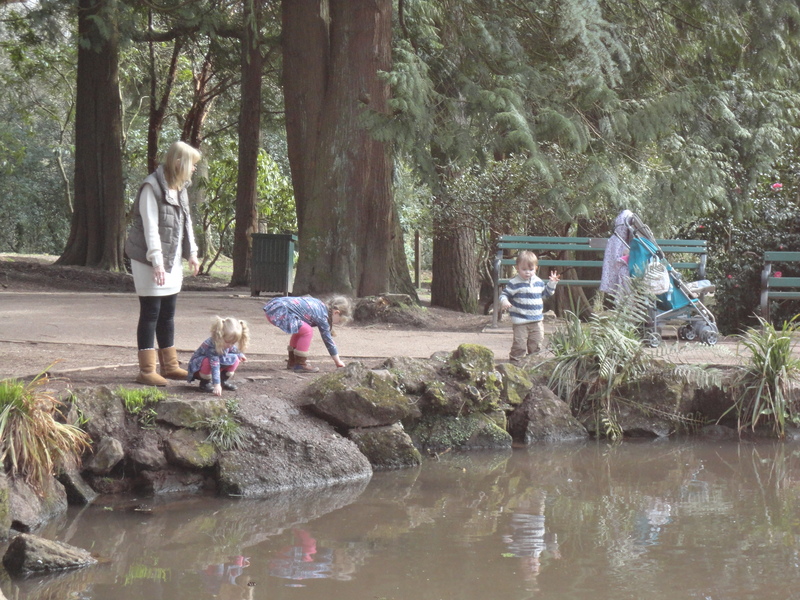 Eventually this stream, as I said before, runs into Roath Park Lake. The streams and ponds act as a habitat for frogs, toads and common newts to spawn in the spring. 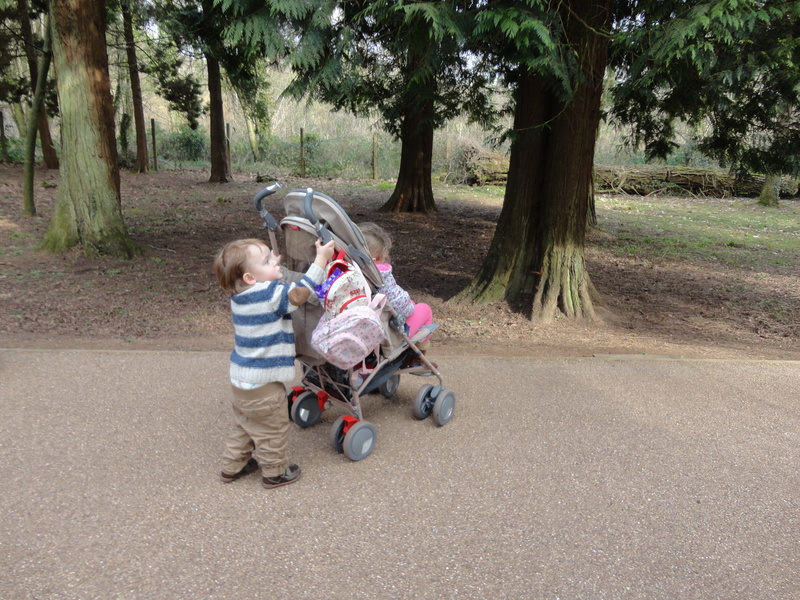 There are many rare and exotic trees in this park and some of them made Mia, Millie and Alfie gasp in admiration. 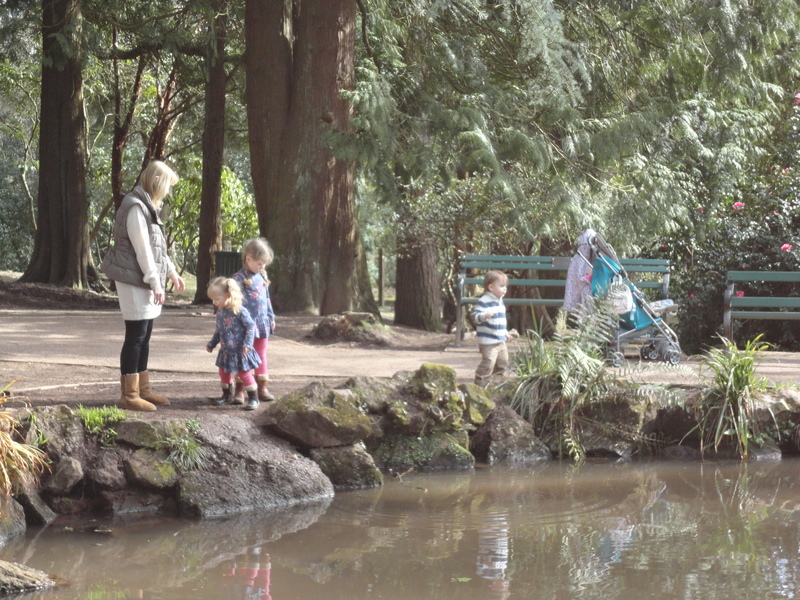 The size, colour and variety of trees are simply stunning – The Dawn Redwoods are the largest of their species in the city at 28 metres and an Edwardian- planted Grand Fir at 48 meters is reputed to be Cardiff’s tallest tree. The colour is forever changing with rhododendron and azalea providing late spring interest. 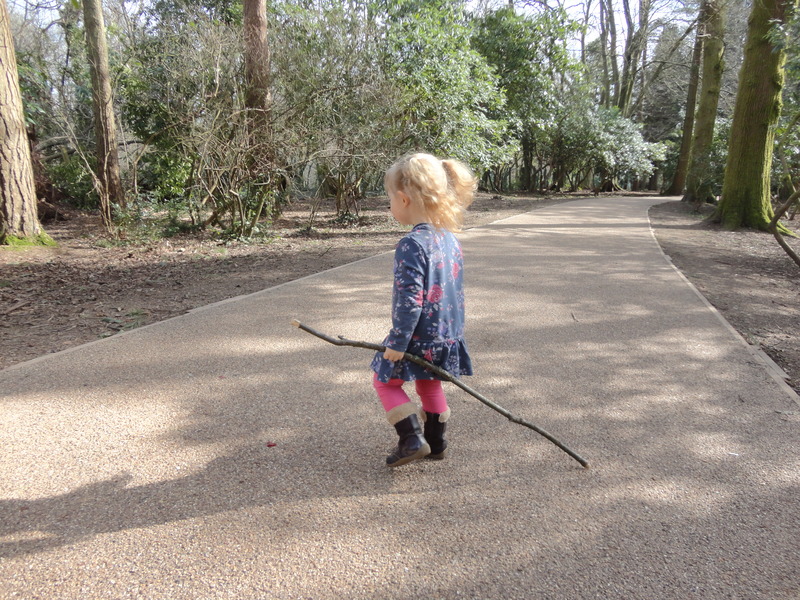 Once we walked in through the gate and under the motorway and into the park, the dog’s lead was removed, the kids set free from the pushchairs and we were off, running, kicking dead leaves, picking up sticks. 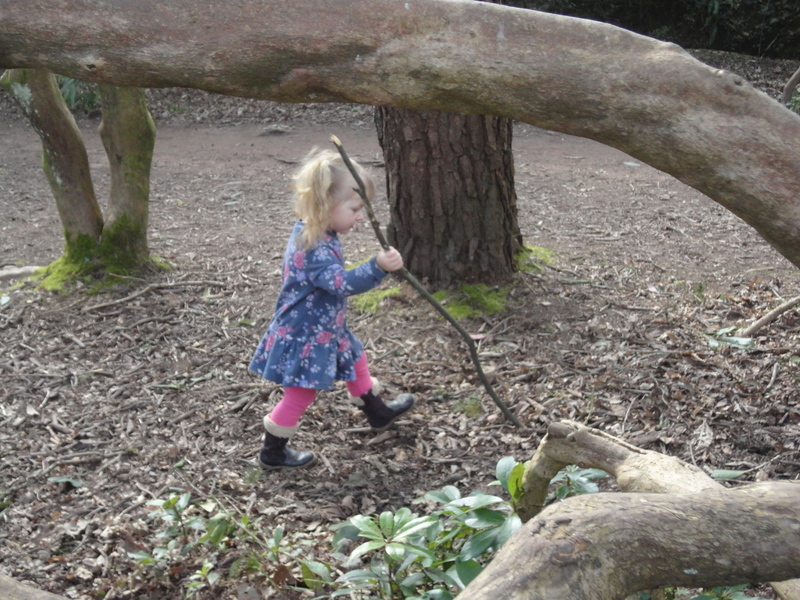 We had the most marvellous time, breathing in the fresh air and celebrating the arrival of Spring. We passed many other people, old and young alike; all stopped for a chat or exchanged pleasantries. It was so good to be out. 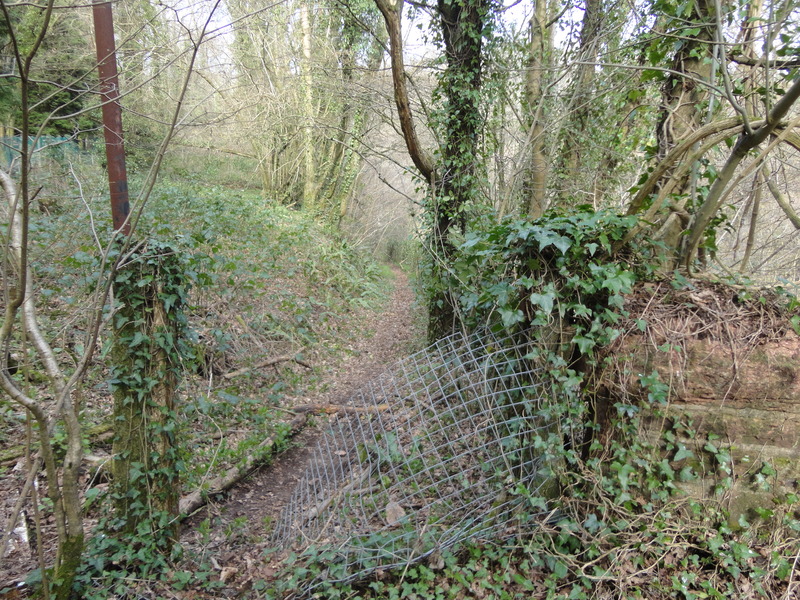 Before long we passed the magical spot where the path, now long overgrown, slopes down to the old Cefn Onn Halt. The kids had no idea, but even the lady of the house became a bit misty eyed as she herself thought about those happy days of long ago. 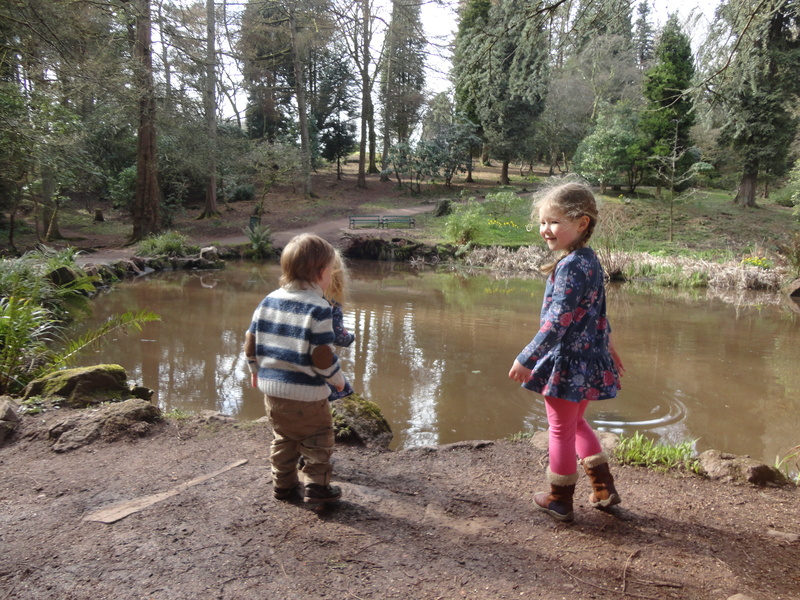 We arrived at the large pond, which the three little ‘uns loved and many sticks and stones were thrown in. 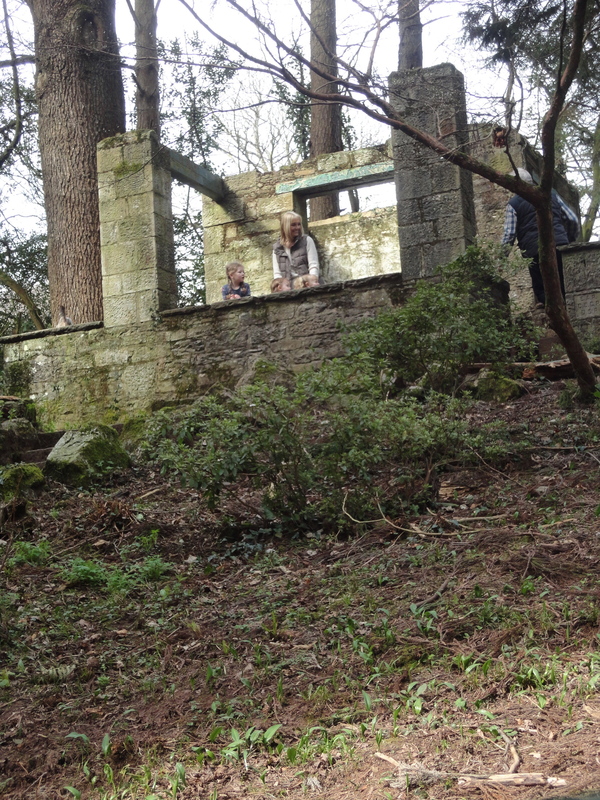 After a while we moved on towards the old summerhouse, built for the first owner’s sick son but now derelict. We decided on a photograph but I was reminded of my age and lack of agility here. I set the camera on timer and went racing up to join the others, but things I did a couple of years ago are no longer possible. I failed! We had to sit and wait until a lady walked by and she was asked to take the photograph. I had forgotten how beautiful this park is and we made our way around before finding a picnic table to stop and have a drink. 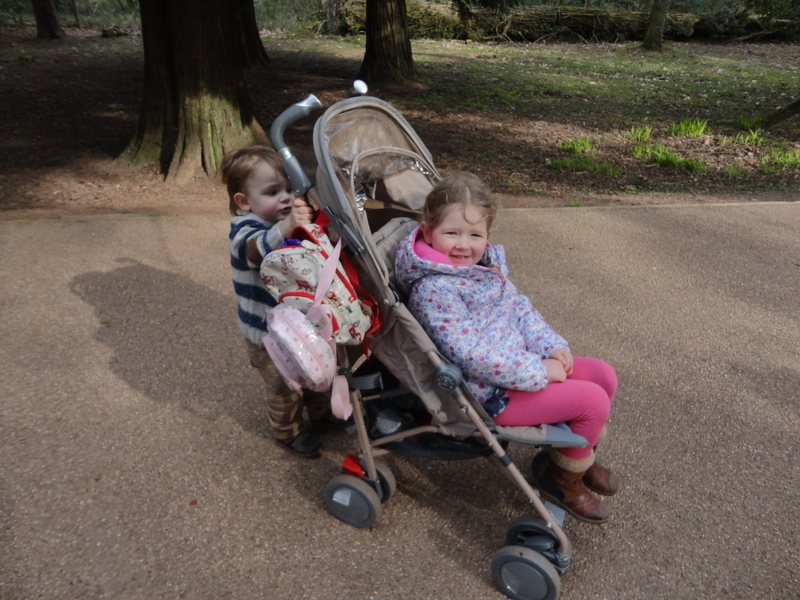 After a brief break, we continued and Mia felt like a break, so she asked Alfie to push her in the pushchair. He duly obliged! 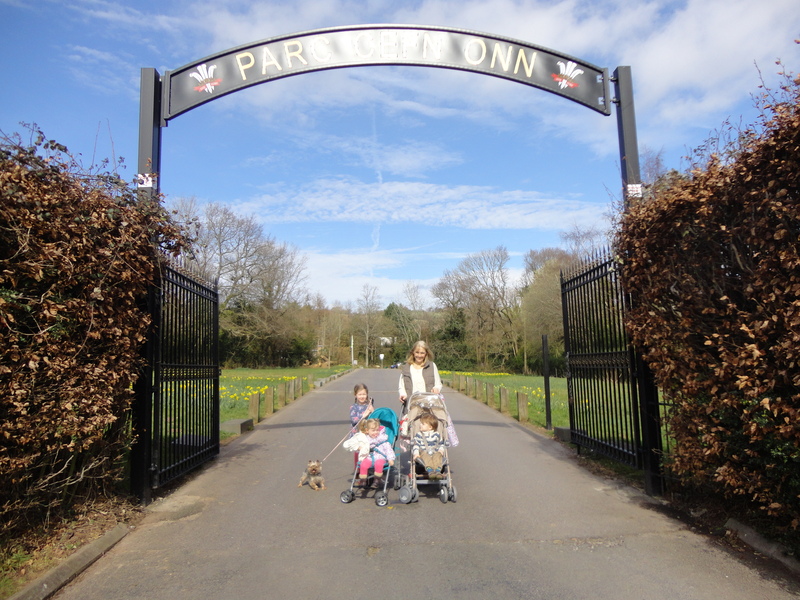 We carried on around the park and soon found ourselves back at the gate. 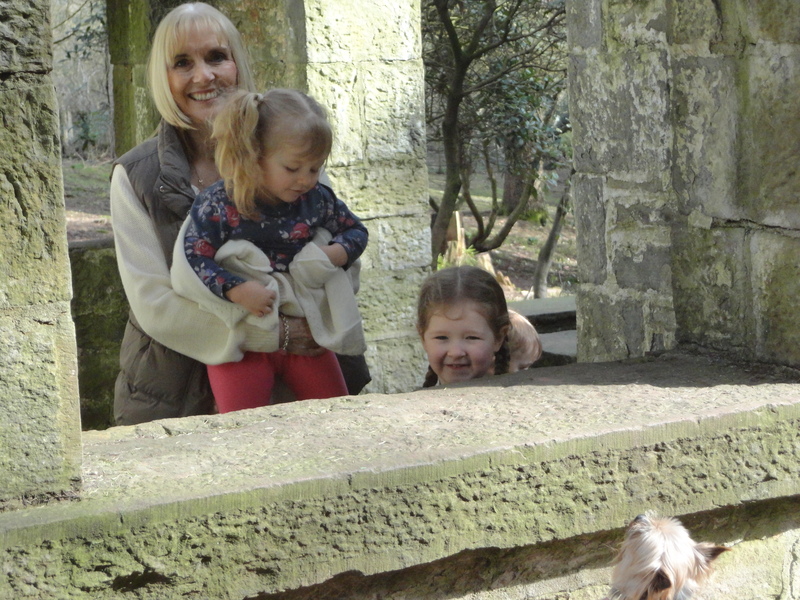 It was so wonderful to be out and to be able to enjoy such beauty, with three little treasures and one amazing lady who has brought such joy to my life. 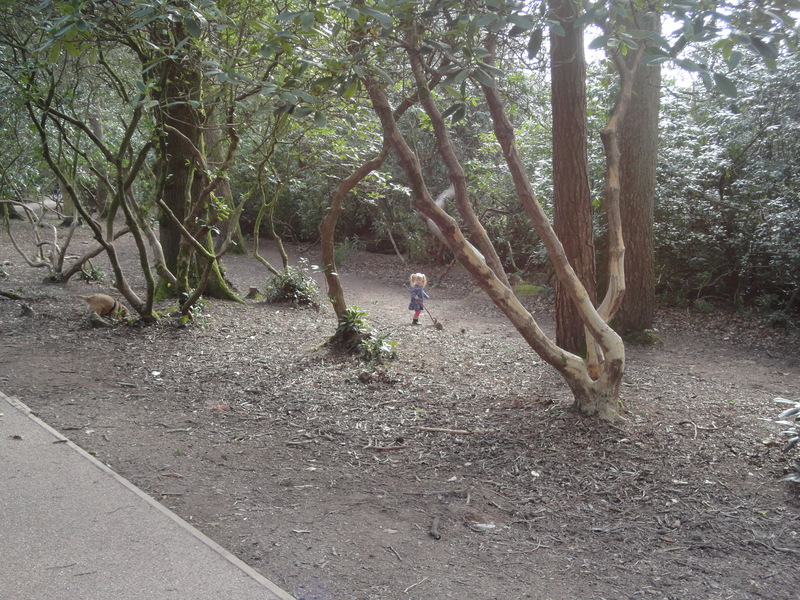 I looked at the kids running through the leaves and thought of Oscar Wilde’s story of The Selfish Giant. 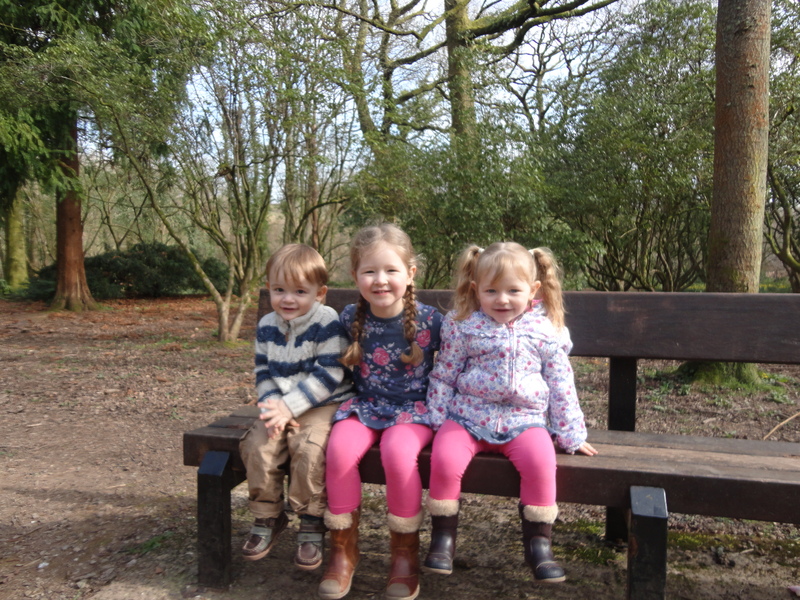 At one stage in the story the Giant says… ‘ I have many beautiful flowers in my garden, but the children are the most beautiful flowers of all.’ Today I know how he felt!! We made our way next door to The Old Cottage. 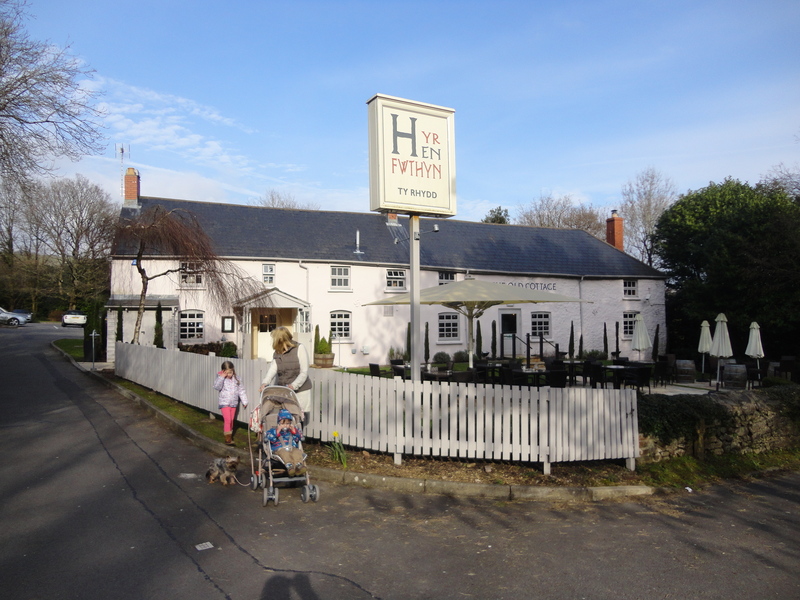 This is now a pub/restaurant, but years ago my friend lived here; it was their home. It must have been an idyllic place to live! 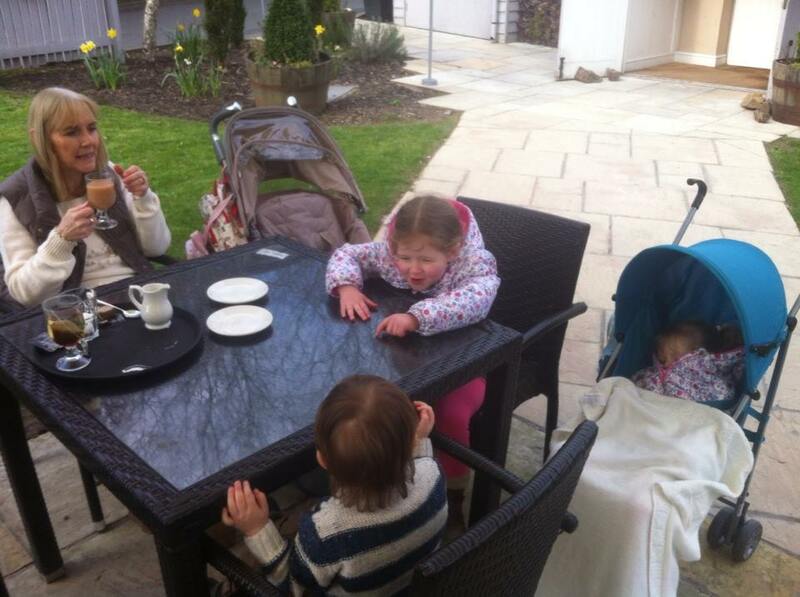 Here, we enjoyed a welcome cup of tea, before thinking about heading home. We arrived home tired and happy, with fresh air in our lungs and happy memories locked in our minds, never to be forgotten. But here are three to start off!